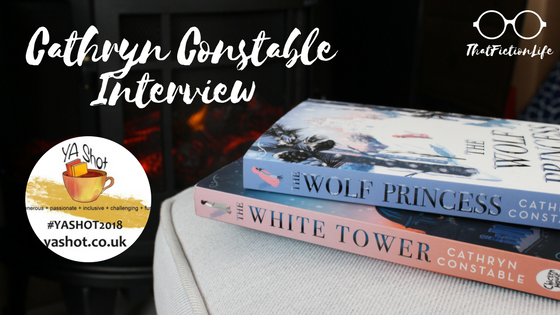 For today’s YA Blog Tour stop, I am thrilled to introduce you to Cathryn Constable, a middle grade author from London. 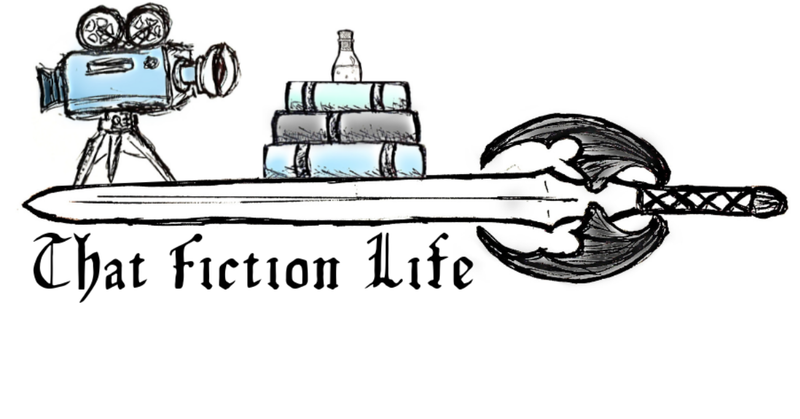 We decided to give you a little bit of an insight into the daily life of a writer through this interview, as a nosy reader myself I adore gaining extra information about how authors construct their stories. Enjoy! 1. To begin with, could you give us a quick insight into your two standalone novels? My first novel is called The Wolf Princess. It’s quite an old-fashioned story about a girl, Sophie, who finds herself in a dilapidated Russian winter palace when a school trip goes wrong. She is drawn into a mystery about lost diamonds. There’s a woman masquerading as a Russian princess. There are white wolves and frozen lakes and family portraits peppered with bullet holes from revolutionary rifles. It’s very much a story about finding your own place in the world and how you need to have a sense of where you’ve come from. Of course, in reality very few people can have a history like Sophie’s, but the process is still the same, even if your family is less tragic. My second novel is The White Tower and concerns a girl called Livy who is finding it hard to fit in at a new school. She is drawn to the roof and meets a boy who wants nothing to do with her. She has to work out why – and she discovers that the school was set up by a scientist who was a secret alchemist looking for the secret of human flight. 2. What drew you to writing middle grade as opposed to Young Adult or Teen fiction? I am really interested in that period of emotional and imaginative development in one’s life before the world becomes too ‘fixed’ and ‘real’. It’s hard to explain because obviously, as one gets older, one can understand so much more about the real world. But, honestly, the real world doesn’t interest me that much. I’ve always been more fascinated by what might be happening underneath the carapace of what we can actually see. And it’s hard to write about those things for YA or teens without being too self-conscious. When you’re somewhere between ten and fourteen, the world is still very much of your own making and it’s really easy to believe that someone could have found a way to purify a child’s blood in such a way that it might be possible for them to defy gravity. 3. How did your writing process change or develop when approaching your latest release, The White Tower compared to the Wolf Princess? My writing process was a disaster with The Wolf Princess. It took me ages to settle on the story. And with The White Tower it was pure torture. I couldn’t understand how writing a book could be that difficult. I had the basics: an isolated child, a sense of not fitting in, a roof guarded by stone sentinels a boy with green eyes, alchemy. But sifting through all the elements to find the purity of the story was like one of Newton’s alchemical experiments, but in reverse. I felt I had ‘the gold’ but that I was burning it to grey powder. There were a lot of things going on in my family life, too, as I wrote The White Tower which I think made things very difficult for me. The week after The Wolf Princess was published, my mother was diagnosed with a brain tumour. And then my father became ill. The month after my mother died, my daughter was diagnosed with a chronic disease. The last five years I have spent an awful lot of time in very many hospitals with people I loved to bits and desperately wanted to keep safe. Hospitals are boring and there’s a lot of sitting about, so you might think that it’s a good place to write or dream. It’s hell on toast. You’re always anxious for the person in the bed. Everyone is just exhausted and sad, which is the curse although there is this surfeit of love, which is the blessing. Probably the sensible thing to do would have been to give up writing for a while but I just kept on, writing the wrong version of the wrong version until something eventually came right. I’ve realised that my process, such as it is, is incredibly wasteful of time and energy and attention. But I can’t seem to short-circuit it. 4. Did writing a book set in Russia require a vast amount of research? By the time I got round to actually writing The Wolf Princess, I had been reading Russian writers for years and years. I was completely obsessed and really didn’t want to read novels set anywhere else. These things happen in your reading life. You can have a mad phase that means you will read all sorts of Science Fiction, for example. Or Modernist poetry. Or the great French novels. But the Russians… All of life is there. And more. Coming back to the British canon after Tolstoy’s wolf hunt or a tour with Babel’s Red Cavalry feels like such a let-down. There is no greater novel than Anna Karenina, although Vasily Grossman’s Life and Fate is snapping at poor Anna’s heels. And I love Isaac Babel and Ivan Bunin and Alexander Kuprin. They’ve just got it. So I don’t feel as if I did research as such. I had to do a lot more to understand Isaac Newton’s alchemical nonsense for The White Tower. 5. Reading The White Tower feels very surreal and dreamlike, was this your intention? Thank you! I hoped I’d got that mood right. In fact, it would have been even dreamier except that then it would probably have been so slow that no one would have finished it. I think there is a real sense that children like to read novels which are fast paced. I’m sure that’s true. But we do read for all sorts of reasons and sometimes a slower, dreamier mood can be just as absorbing. I like a decent pace as much as the next reader, but when books sacrifice plot for mood, they don’t seem as satisfying, somehow. 6. How do you approach naming characters? I LOVE naming my characters. I would literally love a job where writers would let me name their characters for them. 7. What is your favourite under-rated book? I’d probably be more interesting on the subject of over-rated books. Don’t get me started. 8. Are you a spontaneous writer or do you plan out every plot point before starting a novel? I’ve now realised the absolute necessity of having a story arc before I get too far in because otherwise I have to go back and rework everything. But there is a danger in having too much worked out because then it just feels like doing geography homework when you actually sit down to write. You do need to leave enough to be discovered along the way to make it interesting. Despite the fact that The White Tower was torture, there were moments when something alchemical happened and I felt a real shiver of excitement, that I had ‘caught’ something almost indefinable but true. 9. Has working for various news outlets/publications impacted your fiction writing in any way? In conjunction with Chicken House Books, I am hosting a giveaway of both of Cathryn's books! To enter, follow the rules in the tweet below! Follow me (@olivia_gacka) and @chickenhsebooks + RT this tweet. UK only. For an EXTRA ENTRY, comment on this post that you wish to enter + Subscribe to the blog using the form below - make sure to check your email spam folders to confirm.